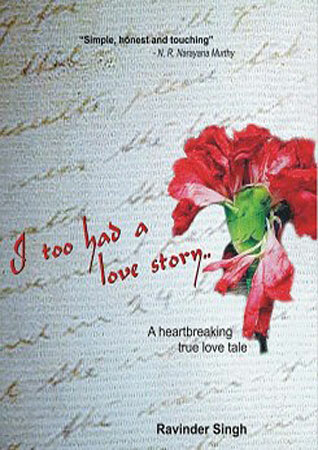 I Too Had a Love Story - Ravinder Singh. Do Love stories ever die? Can modern day gadgets like Mobile phones and the ‘http:\ www’ era of Internet bring you the love of your life? You haven’t met her earlier, but commit to marry. Will you still call this a love marriage? And what if on the engagement day while you pull the ring out from your pocket, you realize what you planned was just a dream which never comes true…? How would you react when a beautiful person comes into your life, becomes your most precious possession and then one day goes away from you…forever?